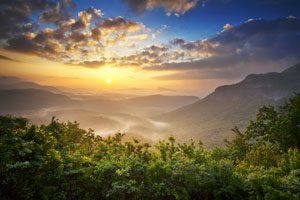 Are you starting your search for real estate in North Carolina Mountains? Maybe you’ve been searching, but haven’t been looking in the right places. You should check out The Lodges at Eagle’s Nest, a luxury mountain real estate development located just outside of the quaint town of Banner Elk, North Carolina. Within this mile high community of over 1,300 acres a vision is realized and takes luxury mountain living to another level. As a family owned neighborhood, a certain familial aspect is added however possible into the amenities offered. 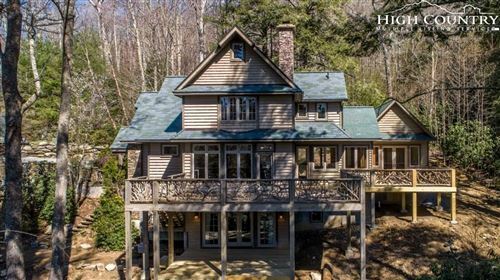 Tapping into the childhood memories of summer camp and throwing in an unparalleled taste for luxury architecture, John Turchin, the creator of Eagle’s Nest, taps into the true atmosphere of the region. Accompanying this taste is the cultural aspect and environment of the area. Locally made crafts and products are sold in corner shops off of Main Street, which is less than five minutes down the road from Eagle’s Nest, and in the town’s regular farmer’s market. Festivals are held in the development, giving residents activities within their own neighborhood, where they can gather and invite friends to join them. Additionally, the amenities offered to the Eagle’s Nest residents are of a unique and wide variety. For the summer months, there are a number of different hiking trails, a couple different ponds, a rider’s park for four-wheeling, rock climbing locations, and there’s even a wildlife rehabilitation area located within the development. Also, there are two different club houses (The Great Camp and Tee Pee Village), a soccer field, stable with riding trails, and even a sledding and tubing hill for the winter months! With all of these diverse and unique characteristics offered within your own gated community, what more could be offered to a luxury homebuyer like yourself? It’s got an incredible, family atmosphere, abundant with indoor and outdoor activities for all ages. It’s close to all sorts of area attractions. It’s just minutes from downtown Banner Elk and Beech Mountain Resort. All of this combined makes for a truly remarkable pool of properties to choose from within the luxury mountain real estate market that you won’t find anywhere else.